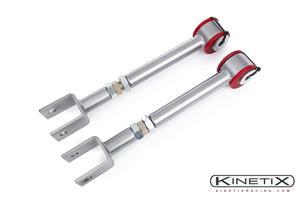 These adjustable arms allow fine tuning of the rear suspension and allow slight adjustment of rear wheel toe. When lowering your car 1.5"-2" and adjusting rear camber back to spec, your toe will need to be pulled back into spec as well, which can be achieved with these arms. 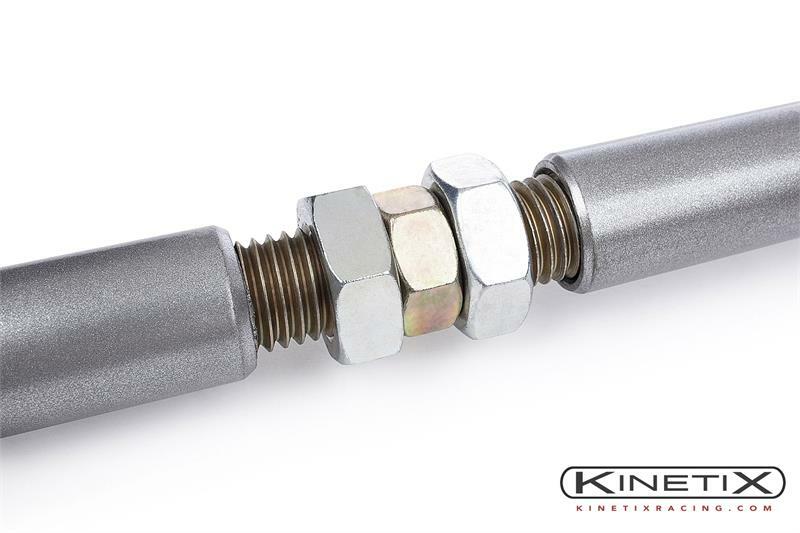 They also feature high quality ENERGY SUSPENSION polyurethane bushings for increased handling. 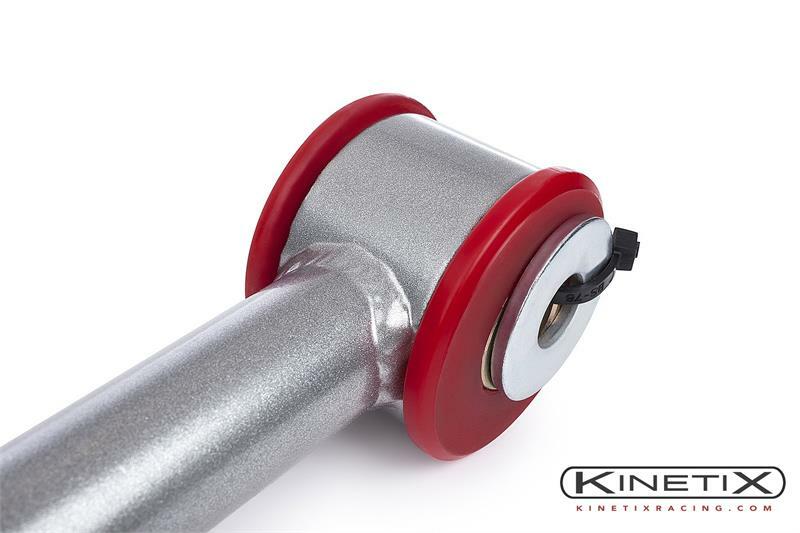 The increased stiffness of the arm and upgraded bushing help to eliminate "wheel hop".